Scammers have evolved with the times—hiding in plain sight is now the new normal. If you aren’t careful, you might end up purchasing lottery tickets on a phishing website or providing your credit card details to a “lotto representative” that came bearing gifts. This is like the 21st century version of the Trojan Horse! The next thing you know, you’re racking up bills for things you never even purchased. So, how do you avoid getting scammed out of your hard-earned money? Scammers thrive on cheating the unsuspecting. First of all, being a responsible and aware player is one of the most important things you can do to stay off the radar of the scammers. I’m not talking about being constantly updated on the latest tricks that scammers utilize. Sure, it’s ideal—but it’s a bit impractical, to be honest. You need to keep your excitement in check and learn to assess the situation before clicking on the “buy” button. Be more aware; be vigilant. Avoid the impulse buy and try not to play after a night of pub crawling. A bellyful of Carling, Guinness or Stiegl does not mix well with searching the web to play a game! Scammers usually target those whose desire to win millions of dollars is so strong that they ignore the red flags waving in their faces. Awareness is only half the battle though; you must also take action and do your homework. There are many websites out there that provide information about lottery sites. A simple Google search can usually get you the information you need. Sites like ScamAdviser can help you check whether a particular site is legit or not. It’s also critically important to learn what tactics scammers use so you can spot them a mile away in the future. Scammers don’t just use fake lottery sites; they resort to different ways to lure you in and get you to divulge personal information, or give them money. Take a look at the different ways scammers can get you. In general, it’s pretty safe to play lotteries online, but take note that there are some websites out there that have been designed to deceive people to willingly divulge their personal information. These websites are made to look like legitimate lottery sites, so if you’re not careful, you might end up getting cheated. 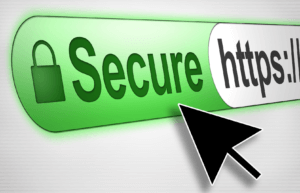 Legitimate lottery sites provide SSL security. Scam sites can be easily avoided if you know what tells to look for. Legitimate online lotteries can be easily identified by simply examining their websites. The first thing you need to look for are security and trust logos which can be usually found at the very bottom of most websites. An added bonus would be an SSL certificate logo. This means that this website in question is able to secure its customers’ transaction details. If not, it’s best to move on to the next site. The URL of a website is also a good way to spot fakes. Fake lottery sites usually have one or two spelling errors in their URLs that are subtle enough for you not to notice. That said, some fake sites don’t have spelling errors at all. If you are unsure whether a site is fake or not, remember this: legitimate lottery sites are licensed and regulated by gaming commissions; are openly communicating with its customers (via support channels); and do not keep their policies and fees under lock and key. There are also some sites that don’t take personal information from you, but, instead, ask you to pay a fee before they can release your prize. This is fraud—don’t fall for it. As I’ve mentioned previously, legitimate lottery sites are licensed and regulated by gambling commissions, which means they can’t pull stunts like this. Only those who are not regulated by a commission are bold enough to even attempt such a brazen stunt. 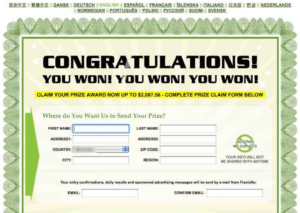 If you receive an email saying that you’ve won, for example, free lottery subscriptions, chances are it’s a scam. In the online lottery world, remember that nothing is free. Sure, some legitimate lottery sites allow you to earn free bets, but the keyword here is earn. No one will ever give away free subscriptions without getting something in return. That’s just crazy. After all, online lotteries are businesses, and giving away free subscriptions will eat away at their profits. Similar to the free subscriptions trick, another one involves emails notifying you of your big lottery win. The problem is that people usually receive these types of emails even if they have never entered into any lottery before. Any internet-savvy individual will immediately see through this ruse, but those who aren’t aware of these types of scams will be more likely to go down the rabbit hole out of sheer curiosity. Again, nothing is free—especially lottery jackpots. Some scammers actually go beyond sending simple bait emails—by calling you on the phone! It goes like this: The caller claims to be a representative from an official lottery informing you of your luck. You just won a thousand dollars! All you need to do to claim your prize is to verify your identity. 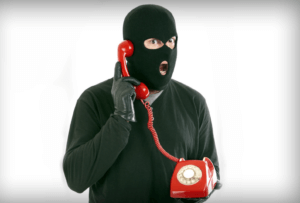 Don’t give out your credit card details to people on the phone! Sounds harmless enough, right? Well, “verifying your identity” here means providing your credit card or bank details. You probably don’t need me to tell you how that’s going to end. Never provide sensitive information—such as credit card info—to anyone. Malicious opportunists lurk around just about every corner of the worldwide web, but if you keep your wits about you, outwitting them can be easier than you think. The most important thing to remember is to always be aware and don’t forget to do your due diligence. Also, never give out personal information to just anyone on the internet or over the phone. If you are going to provide credit card details, make sure that the website displays trust logos and employs solid SSL encryption. Finally, always remember not to get tempted by free stuff—if it’s too good to be true, it usually is. Could you recommend any good list of lotto scam sites? It would be very good to write an article with such a blacklist. Thank you for your site. This article was cool! Best regards from Swedish lottery fans!